Digital photographs printed at 12"x14" and 14"x12"
The word 'Photography' is comprised of the Greek words for light (phôs) and drawing (graphia). The photographer, consciously or not, is always 'drawing' or 'painting' the film (negative or digital) sensor with the presence and absence of light. The images presented here are not drawn with light, but painted with the contrasts of heat and cold. 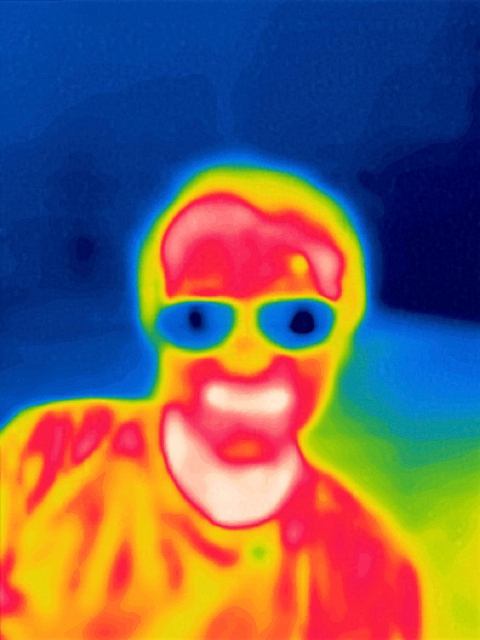 They are thermal images or thermographs. 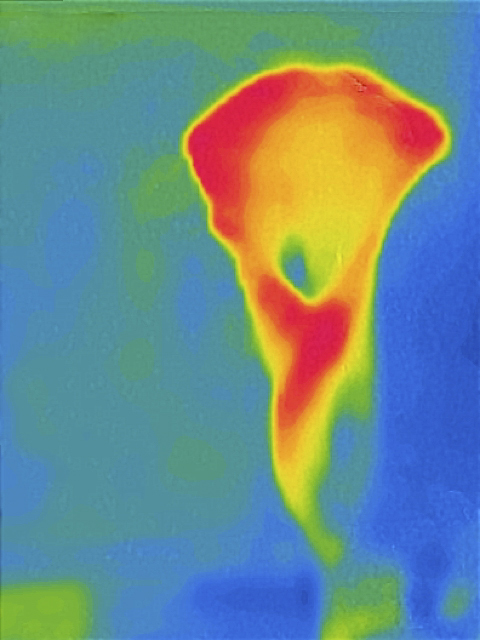 As of this writing, I believe this will be the first display of thermographs in a gallery setting in San Francisco. This technology is widely and more traditionally used by rescue workers, building maintenance technicians and even health professionals. Like photography, this technology has many practical uses, and like photography it can, in my belief, also be used to make statements, elicit emotions, or just captivate visually. For most of my compositions, I did not use ambient temperature alone, but rather 'painted' my subjects with hot or cold air, liquid, and metal along with the occasional use of ice. Sometimes I would use the warmth of my hands to influence the visual image, creating a very sensuous and integrating experience. The process involved in the making of these images is beyond mere registration. I hope you enjoy them.